There is a fire ban in Sweden because of the drought and forest fire danger. It of course includes open fires, charcoal grills and the like. But I can't find information explicitly about non-open fires like gas cookers. Specifically we have a "Campingaz Party Grill 200" where the flame is pretty much enclosed. You'd probably not be allowed to use your gas cooker. The following answer is written regarding the Stockholm County (as the counties are responsible for the bans). But as the bans are based on the recommendations from the Civil Contingencies Agency, they are most likely similar in other counties. 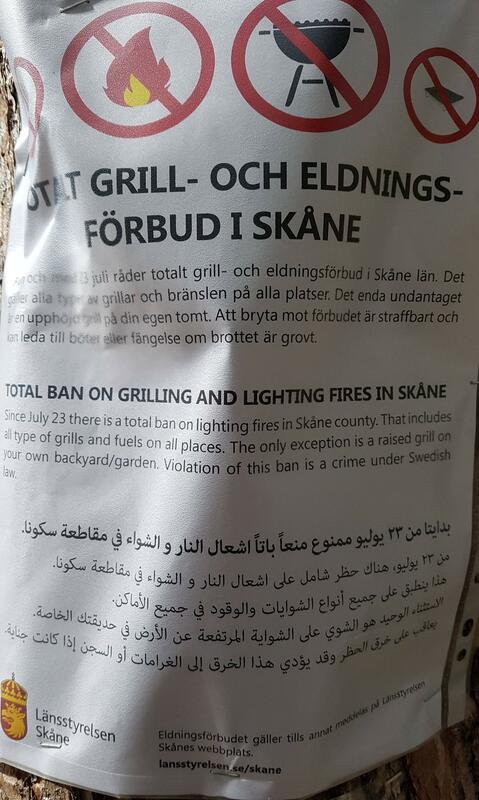 Förbudet omfattar alla former av öppen eld, till exempel att grilla på iordning- ställda grillplatser samt att använda trangiakök, stormkök eller medtagen grill. All types of open fire are prohibited, eg BBQ-ing and using “outdoor kitchens” or your own BBQ. Får jag använda friluftskök i tält? Ja, om tältet står på din egen tomt. Annars inte eftersom tält står utomhus på marken. 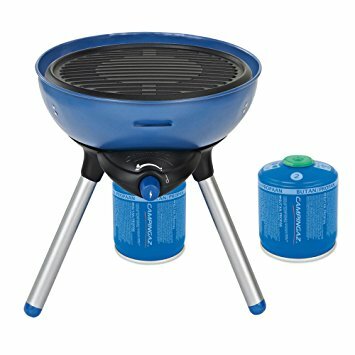 Can I use an outdoor kitchen in a tent? Yes, if the tent is in your own yard. Otherwise not, as the tent is outdoors, on the ground. However, the same page also states that you might use an outdoor kitchen on a camping ground, provided that the kitchen is on a platform and not touching the ground. Not the answer you're looking for? Browse other questions tagged sweden local-knowledge or ask your own question. Will I get into Sweden with the souvenirs listed? Travel to Sweden: What is the best way to pay for things? Can I use credit cards without a chip and pin in Sweden? The Leh Ladakh “ban of non-local vehicles” situation status? Where in Sweden can I celebrate midsommar with the locals? Is Sweden full of mosquitoes during the summer? When is there a high chance of seeing the aurora from Sweden?